The Corner Booth: Being a "Pre-Diabetic"
I've never been a fan of the term "pre-diabetes." Of course, I'm no medical professional. I'm not able to dispute the scientific validity of this term and how it's utilized. Online research tells me that the CDC has reported that one in four people (roughly 57 million people) have pre-diabetes and therefore have a higher risk of developing Type 2 within 10 years. But as a jaded and skeptical Type 1 for now more than a quarter century, I have reservations with this "diagnosis" and how the existing medical establishment throws this around in what I'd describe as a reckless manner. For example, take my wife who was recently told at an employer-offered health screening that she has "pre-diabetes" because of a single fasting blood glucose reading of 113 mg/dL. Yes, that's right. 113. One one three. The health screeners were testing the "Big Bad 3" (Cholesterol, Triglycerides, & Blood Sugar, along with basic height, weight, and BMI (Body Mass Index). Employees were told no drinking alcohol within 48 hours of the testing (wine festival on Sunday meant FAIL here), no drug use within 24 hours (Tylenol because of previous FAIL meant another FAIL), no eating or drinking except for water within past 12 hours (FAILED by an hour), and no tobacco use within an hour of test (Non-smoker, so PASSED - woohoo!). I had hoped to be able to back out of the screening, due to the failures; but I also failed at that; so at 7:56 a.m., I trotted over to begin the torture (really wasn’t torture – but nobody likes be told what's wrong with them…) Started out with filling out what would be my results form; then my height, weight, and blood pressure were taken. Next, I moved over to have my blood drawn – not by vein, but by finger poke; which hurt afterward. Pretty much all the result came back normal without any sign of a problem, though I did fail a couple simply because they weren't "real" fasting results as I'd failed on that front. Then, there was the BG test which came back at that number of 113 - one that I might add Mike would pay to have consistently throughout the day if possible, and compared to his 149 fasting result earlier in the morning before work. After texting back and forth in joking about the whole situation for a few minutes, the Nurse Lady ended the wait with an interesting discussion about my blood sugar. Nurse Lady: "Have you had a problem with glucose or diabetes?" Suzi: (internally – define "problem" with diabetes, because that answer is a big YES thanks to Mike's Type 1...!) "No, not that my primary care/family doctor has said…"
NL: "Well, your fasting glucose level is 113." S: (trying not to laugh) Oh. OK…"
NL: "This means you are pre-diabetic. You have a chance of developing diabetes." S: (again, holding back the laughter...) "OK."
NL: "There is really nothing that can be done. Try eating some more whole grains and cutting back on the sugar. We like to see blood sugars in the range of 60-99. Do you have any questions?" "Guess what honey!!! I’m pre-diabetic, at a non-fasting blood sugar of 113! Don’t be jealous." Mike: "Oh No! Guess we’ll have to take you out back like Old Yeller..."
Yes, I did say that. I also made a comment initially about how this would be an ideal blog topic, before venturing into whether this result had any merit. Obviously, we think a lot about the validity of this type of health screening where these initial "diagnosis" warnings can come up. In recollecting the events, I'm told that the health screeners were perplexed that the other test results came out normal but the BG reading was "so high." Their faces showed fear, and they didn't know what to do. This is where I get angry (again speaking as a longtime T1, not a medical professional or educated student on this topic). Jaded humor and joking aside, I get that they're simply doing what society recognizes as the right course here. I understand that there are non-diabetic "normal" guidelines" in place that guide these screenings and so much of the medical community.Standards have changed recently so that now, the "normal" range is 60-100 and anything over that range is unequivocally "pre-diabetes." Any fasting result over 125 mg/dL means someone is already diabetic, the standard says. 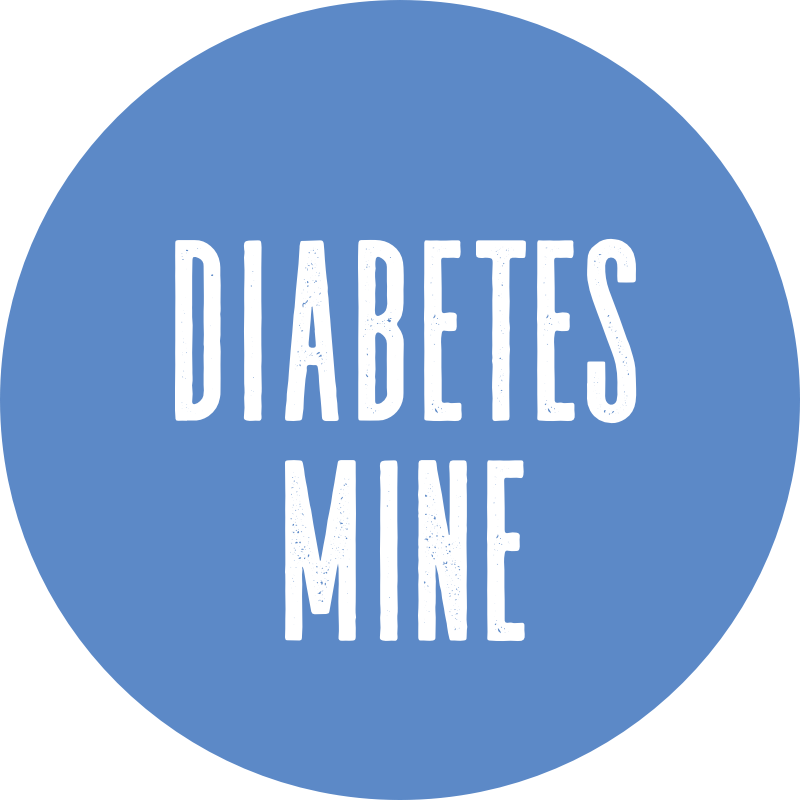 I recognize that we have an apparent epidemic on this planet of Type 2 diabetes, and all of that is a cousin to what I experience within the Type 1 World. It's different. But I'm not a fan for how many medical professionals, insurance companies, wellness and health screeners, and so many others fan the fires of fear-mongering to people who may not know anything about diabetes except that it means you could die someday, go blind or plummet into kidney failure, or lose a limb. You know, because someone's aunt or uncle once did. To me, "pre-diabetes" is a term that went "out of style" years ago and is generally used only by "old school" doctors, or those younger medical pros that were taught via the "old school" method. I believe that basically everyone is "pre-diabetic," in that if we don't watch what we eat or sit on our butts all the time without any excercise, then we'll likely put ourselves into the high-risk pool of developing Type 2 diabetes. Some of us unlucky souls may have genes that pave the pathway to some form of the D no matter how healthy and meticulous we are, while others may not ever develop any variety no matter what warning signs they display. That's just the way it is.Just because you're diabetic, it doesn't mean you are overweight or lazy or a bad eater pounding packets of sugar. And vice versa. Yes, there's a huge and ever-growing trend in Type 2 diabetes worldwide. Yes, it's good that the medical establishment and these health screeners are trying to raise awareness in some way. That's what Oprah did. Yet, in doing this, and in doing it the way it's being done in SO MANY instances, damage is also being done because of sub par education and knowledge out there about diabetes overall. It's my believe that these "pre-D" standards and warnings are simply trying to combat a problem that we haven't gotten a handle on, and one that must mean something because docs and health pros and the ADA and studies say so. In my view, either you're Diabetic or Not. Like pregnancy. If you aren't, then you are "pre-D" and should assume there's a chance someday that you could develop the condition unless you do what's best for your health. But no, so many need someone telling them they're "pre-diabetic" before they'll even think about taking the leap toward change. That, I think, is a fundamental key to the epidemic problem in the first place. Sure, we need to call diseases and conditions something. If you are Type 1, then you don't produce insulin because for some reason your body attacked its own beta cells to the point of no-insulin production. LADA has its own definition, and so do others like Type 2 where your body stops producing insulin or develops resistance over time. You fall into anyone of these categories, then you've GOT diabetes. If not, then you're NOT diabetic. But to say you're "pre-diabetic" because there's a risk that someday you could develop diabetes?? C'mon. Every non-diabetic then is pre-diabetic, just like every person has the potential to get hit by a bus when crossing the street near a school at rush hour. But you don't label these people as "pre-bus casualities" because there's a risk.... You take the necessary steps to prevent that event from happening - using a crosswalk, looking both ways, or simply waiting until bus-time is over. You might get an occasional warning sign, but you're not told that you're going to get run over and there's "nothing you can do about it." But what do I know? This is all from the perspective of a cynical Type 1 who often thinks he's correct even though that's rarely the case. No one should ever take the writing here as gospel or disregard whatever standards are out there, as established by much wiser minds than mine. Simply my personal take on something that bugs me, and grinds my bacon. Take it as you will. I can't believe your wife kept her mouth shut....or at least to not giggle. She's a tough one. I also can't believe that the new numbers start at 60. WOW, isn't that kind of low? I mean not horrible, but I would think that's low. And by their standards I have been pre-diabetic for YEARS, but like you say...I am no different than anyone else. I'm not an authority, as you know. I'm interested, though, in the idea that "you're either diabetic or not". If that's the case, and it may be, then it has to be that some specific event or condition has occurred. With T1, if I don't have this wrong, that determining event is clear: the body's immune system has begun killing off the insulin-producing cells in the pancreas. But what's the determining event with T2? Is it the development of insulin resistance, or perhaps that point at which the ability of the pancreas to produce insulin? Because of the possibility of action on the patient's part in this period, it's important to call it something. Do I believe that there are people trying to get rich out of spreading fear? Yes. Do I believe that there are also well-meaning people who place too much faith in the motivating power of fear? You betcha. But, again, we gotta call it something. The term I hate is 'reversal', because 'reversal' of diabetes sounds very permanent, and I don't think evidence suggests that it is. Thus, for myself, I prefer "prediabetes" to just "diabetes", because the noxious "reversal" notion seems to me to fit better with the latter term. Maybe we could call it "early stage Type 2 diabetes" or "insulin resistance disorder" or something. Oh, seriously SO well put. The whole 'pre-diabetes' thing drives me NUTS. Also what the heck are they doing to your 'normal' scores?! At 60mg/dl I'd be a wreck. That's not normal! I've always understood over here that it's (in your money) 72 - 126 that you want to be aiming for. If I were a cynical person I might theorize that a number of big Pharmas might create a condition where everyone without diabetes might be defined as having "pre-diabetes" so as to expand the potential pool of customer for my product. But what about people with "post-diabetes"? @Renata Porter: 60 is low but is what one would expect for a person without diabetes who may have skipped a meal or two or has been doing heavy work on an empty stomach. Some people get hunger headaches from the hypoglycemia. This post was spot on! The same thing happened to my husband, only it was a life insurance company, not a health screener, that told him that he had "pre-diabetes." I love how you summed up this whole condition of "pre-diabetes," as if we can call it a "condition." I couldn't agree more with you. Great post! I can totally understand your frustration. I also can't help but wonder how frightening this news would be to someone who didn't have the knowledge your wife had. Isn't it bad enough that we PWDs feel guilty all the time because we're surrounded by Wilford Brimley & his "diabeetus" and made to feel as if we're responsible for our lack of a working pancreas? Now we have to scare people half to death for no valid reason? Also, it's not as if the drug companies do anything but benefit from this. You'd think if more people were being "diagnosed" with "pre-diabetes" there would be a bigger push for a cure but no, it's just greenbacks lining pockets. So frustrating! Thanks for the post - great job! On the other end of that, last winter when Walgreens was having one of their free blood testing things, I decided to do it. I tested out at 92. They told me that indicated no sign of diabetes for me. So basically my past 52 years must have just been a lie? As hard as it is to believe by anyone who knows me, I didn't shoot off my mouth and give them a lecture. Figured they were not knowledgeable enough to grasp the concepts anyway. My son is 9 and I took him for his physical a few months back and part of it was a simple BG test which wasn't fasting by the way, the bad news the test came back 120mg/dl and his pediatrician would not call it "pre diabetes" at the time, Instead she referred us to a program at the local hospital which part of the program is a tolerance glucose test. (the test results are still pending)I think the you are either diabetic or not is complete bull. No wonder advocates for the a1c test being the primal test for diagnosing diabetes are growing in numbers and I am jumping on that bandwagon. I was diagnosed at 18 as a type 1 put on Insulin, a new endo a few months later determined I was a T2 so I think these decisions should be left to the professionals. In response to The Poor Diabetic Ronn: First, hope your son's second test comes out OK without any D diagnosis to speak of. As far as the pediatrician's diagnosis, that is common even in the adult world as many Primary Care Doctors aren't familiar with the D nuances and want a "specialist" to issue a more informed opinion. That makes sense. The A1c tests are more reliable to determine whether someone is indeed Diabetic or not, but even those aren't infallible and must be weighed with the overall picture. What I take issue with is someone throwing that term out there without seeing a full picture, and using it as a justification to "do better" when that person could have been mindful about the D Risks all along. But sometimes, there's no rhyme or reason for a diagnosis - it just happens. To me, it sounds as though you've always taken a responsible and mindful parenting approach and (though easier said than done), have to realize that this type of thing isn't your fault. Good luck with the pending test results, and overall changes! I don't like the term "pre-diabetes" either. However, the FBG is often the LAST reading to show signs of problems for people with type 2 diabetes. Back when I got my "pre-diabetes" warning, my FBG was "fine" at 99 mg/dl but my post-prandials were reaching 180 mg/dl (which was considered OK - ha ha ha) and my A1C was actually 6.0%. I often see these sort of numbers from people diagnosed as "pre-diabetes". The Nurse-Lady should have been a bit better prepared and informed! Putting aside the fact that her "diagnosis" sounds a bit dubious, wouldn't it have been preferable to have some good health advice and maybe some follow-up care to go with it? I mean, no health care professional should dump a diagnosis (again, dubious) on a patient without appropriate thought to what that patient is thinking, or how they could be assisted to deal with their new diagnosis! Amazing. Funny, sure, but amazing. Personally, I like that my 6.6/119 fasting blood glucose number let me know I had a problem and needed to eat better. 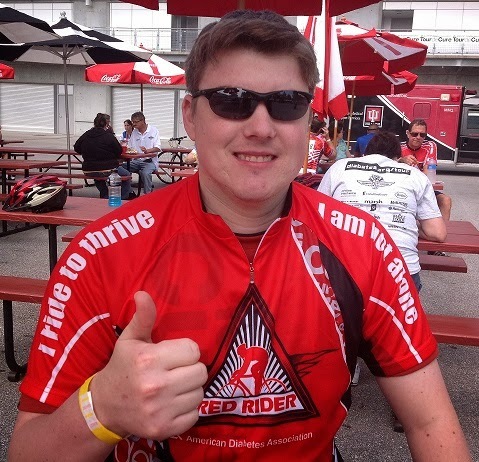 You can call it pre-diabetes, or impaired glucose tolerance, or Billy-bob; the point is that I needed to know to make changes that lowered my risk of developing full-on T2. And for the record, I was a normal weight, non-drinking, non-smoking, and active person. Nothing but that blood test result would have let me know there was a problem. And many people like me are getting results showing impaired glucose tolerance, some of them in their 40s, 30s, and even 20s according to my friend who does pre-diabetes research for a local university (UBC), and they don't know why that's happening. Smirky quibbling over terminology is patronizing and infers the issue is dismissible when it can lead to serious health issues. The gratuitous snark is particularly nasty given there is a limited window of time during which one can reverse pre-diabetes. Super cool, bud. From the Archives: Hey Sherlock, no sh..